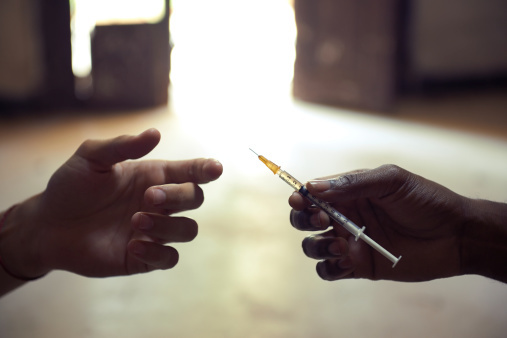 The District of Columbia’s battle against HIV has seen impressive results from a needle exchange program, according to a study released by researchers from George Washington University. The study focused on HIV infection rates traceable to injection drug use that occurred both during the city’s ban on needle exchanges and after the ban was lifted. Needle exchanges have been controversial in many parts of the United States, with critics claiming they promote illicit drug use. This, among other concerns, is why Congress banned the use of federal funds for needle exchanges in 1998. Due to the structure of D.C.’s finances, this left the city unable to use local revenue to establish a needle exchange—an approach other cities in the country have been able to use. The study had several elements to it. The first looked at the documented cases of injection-caused HIV following the removal of the ban and the implementation of needle exchanges in the city over a two-year period. Next, researchers used the rate from before the ban was lifted and modeling techniques to predict how the rate would have changed if the ban had remained in place. What the researchers found is that with the ban, an estimated 296 new cases of injection-caused HIV would have arisen. With the exchanges in place, only 176 new cases occurred. Extrapolating from this, the researchers are confident in saying that over the period observed in the study, the needle exchanges prevented 120 new cases of HIV. An additional element the study looked at was the cost savings. By using the Centers for Disease Control and Prevention’s estimates of the lifetime cost to treat an HIV patient, the researchers determined that the 120 cases that didn’t occur saved taxpayers roughly $44.3 million. In comparison, the needle exchange program costs less than $1.0 million/year to properly fund and run. Approximately three percent of D.C. residents over the age of 12 have either HIV or AIDS, and 18% of those living with the disease contracted it from injection drug use. Ruiz, M., et al., “Impact Evaluation of a Policy Intervention for HIV Prevention in Washington, DC,” AIDS and Behaviour 19, accessed September 3, 2015; http://link.springer.com/journal/10461.